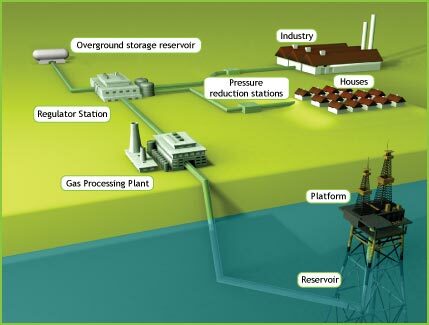 Natural gas is transported at a high pressure in the gas grid and is delivered to end user at moderate / low pressure. Pressure reduction is performed in Pressure Reduction Stations (PRS), using JT valves. Energy of expansion is wasted. 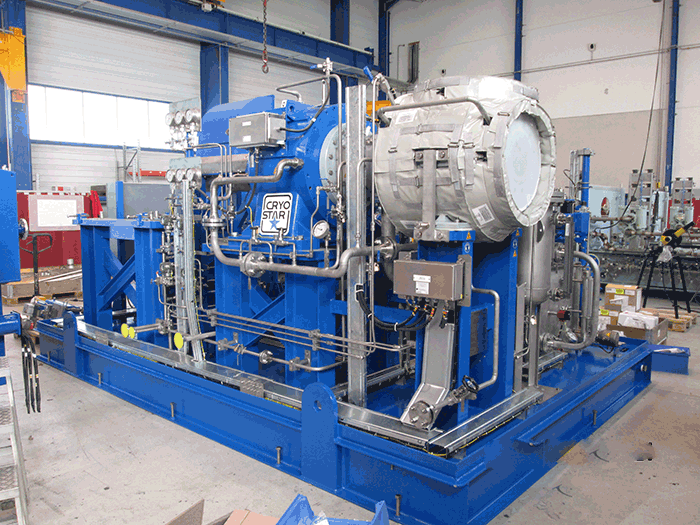 Installing a Cryostar expansion turbine coupled to a generator in parallel to the JT valves makes it possible to recover this energy without compromising gas delivery downstream the PRS . In normal operation, gas flows in priority through the turbine, clean electricity is generated ; if turbine is stopped (for maintenance for example), gas flows through the JT valve. Cryostar propose a range of turbines designed for Pressure to Power application. In addition, specific software tools were developed to select the right turbine for maximizing annual energy production according to gas conditions at the station. We definitively can help for optimizing the economics of a PRS upgrade. Generator loaded Expanders with magnetic bearings and high speed generator directly connected to the turbine wheel. High frequency power is converted to grid frequency power via a power conversion system (AC/DC – DC/AC). 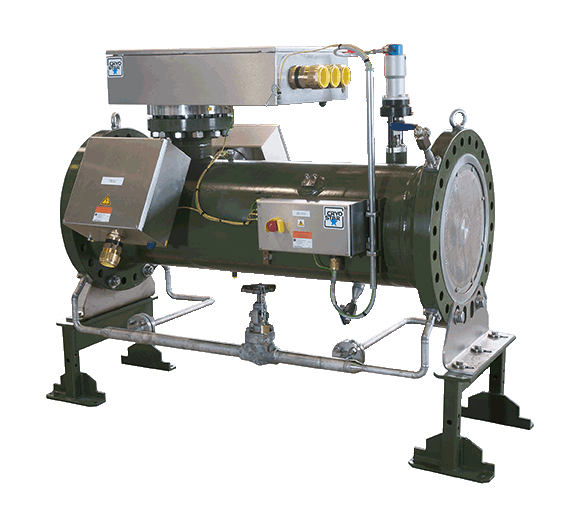 This TG is designed for low flow, reduced footprint stations. Maximum power is 300 kW.